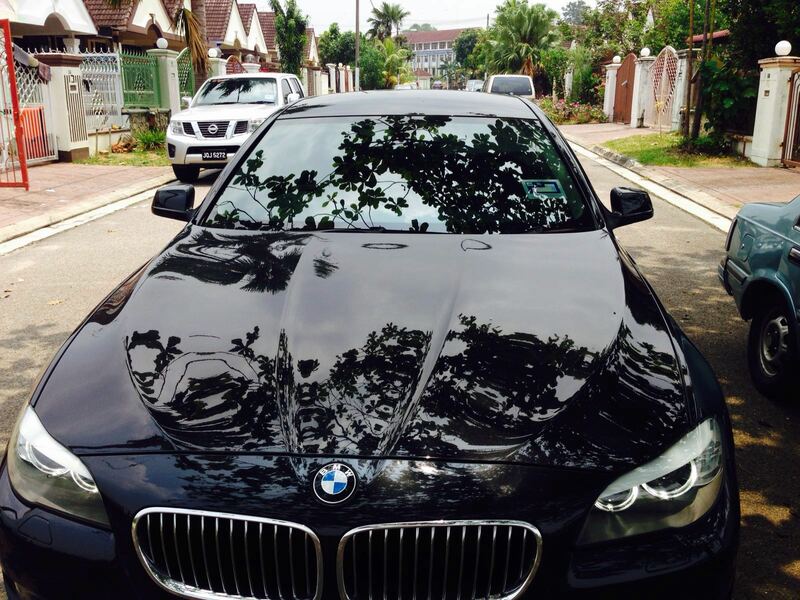 BMW 528i is a car that you need to highly consider in hiring it. It is definitely a luxury car that will give you all the fancy features. Thinking about taking a tour with your loved one or just having a great time out, then this is your car. Instead spending a lot of money to buy a car like this one you has a chance to hire one. Also, it is the car that you need to have to attend your meeting. The new BMW 528i is a modern cruiser that every driver aspires to get their hands on. This user friendly vehicle bolsters a total of 245 bhp at 5000-6500rpm, coupled with 350Nm of torque at 1250-4800rpm. Let’s start from its style and design. There is a lower air intake, tail lights that were redesigned from the previous series, front fog lights –LED, indicators for the sides that are placed in the side mirrors. The long tailgate has now a sleeker look and also a revised 2-section taillight. BMW is now focusing on the style of its cars because each and every car in the past has made progressive improvement in its aesthetics and this is happening for the BMW 528i too. The interior design had received positive feedbacks from people who hired this model in the past. One of many things that our past customers noted as the best part of the car is its comfort. 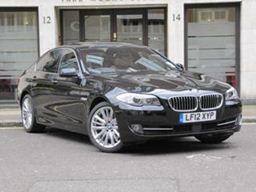 This luxury car gives extremely great comfort which gives the driver and everyone else in the car to enjoy the ride. When you are searching for your own car to buy what would be the first thing that you will look at? It would be the safety of course and this luxury car has that. This BMW has a camera system that will warn the driver that he/she is wandering out from the road line or a warning if there is a near collision, either with a pedestrian or a car. 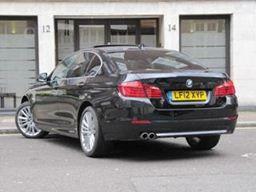 The models that are above 520i and 520d standard have made this system as a standard feature. There is no doubt that BMW provides great driving experiences. Words cannot describe how impressive this luxury car is and the driving pleasure that it provides. With such power and torque, the BMW 528i pulls away from 0-100km/h in a mere 6.2 seconds. Fuel economicality is good as well providing a combined (urban & non-urban) fuel consumption of 6.5 litres/100km. This vehicle comes with a UK high specification package including full electric seats, massage seats and 19′ sports rims! The car comes with rear entertainment as well besides a panaromic sunroof allowing passengers to enjoy the view of the KL city skyline during a crusing city tour. New technology comes with a keyless push start which is of convenience to most drivers. The green technoloogy of the car has an auto start-stop function when the car comes to a halt which can be deactivated through the button just beneath the ignition. BMW 528i comes in 3 modes, the “Eco-friendly” which is perfect for coastal driving and fuel economy, the “Comfort” which is perfect for cruising and “Sport’ which stiffens the suspensions, ups the revs and gives you a little more kick in the spine! Call us now to get your unit or make a booking!